My Parents Think I’m Crazy – and they are not alone! The running joke when I talk to my dad on the phone is “when are you going to sell your dogs and come home to live with us?” My parents, retired and living in New Brunswick, Canada have never quite become used to the idea of what I do and where I live. But it’s their fault really. This is Bob. She (yes Bob is a girl) has the same quizzical expression on her face that I witness a lot when I explain to people how I like to live my life. It started when I was just an embryo. My mom boarded a plane bound for Ontario to start a new life and my grandfather made sure she went alone – he wasn’t really fond of my dad. Grandpa forgot that there was more than one flight out of town and my dad headed out a short time later. My parents eloped. Now if that doesn’t set the stage for adventure I don’t know what does! My father worked for Air Canada and back then and a perks of being one of their employees was free flights. 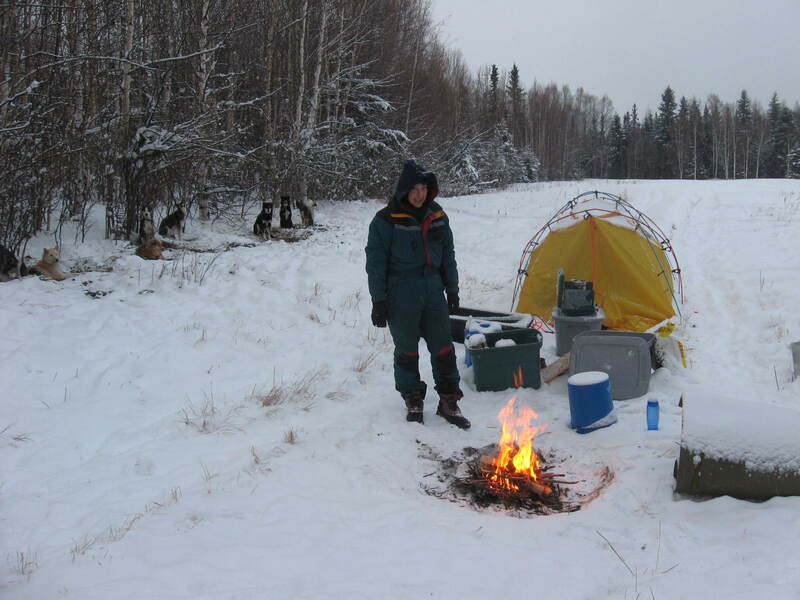 We traveled often back to New Brunswick to see relatives. But my dad, who has this same free spirit I do, also took us other places. He’d pack overnight bags and my sister and I would suddenly find ourselves at Disneyland or New York City. If we weren’t flying somewhere we’d be off on a drive to who knows where – just for the sake of it. So yup, the apple definitely did not fall far from the tree. So years ago when I sold practically everything I owned and headed north to my cabin with a couple of Rubbermaid totes, a puppy and an ancient cat my parents weren’t too terribly surprised. My father’s only concern was how I was going to have a bath because the 400 square foot cabin was without running water. Comments were minimal when I headed for a tiny fly-in village in the Northern Yukon a few years later. I think they were relieved that I was going to at least have a few neighbors. My wanderlust got the best of me though and two years later I was off to my new home, a tent frame with tarped roof and plywood sides, 100 miles from anywhere. Then came Alaska. 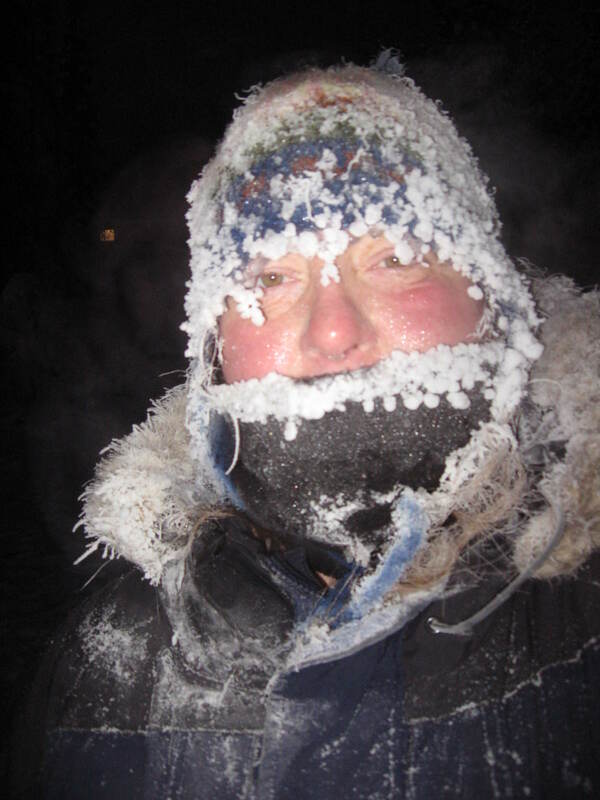 And I will get back to Homeless in Alaska – eventually. In case it isn’t obvious, let me say that sometimes my mind, like my spirit, wanders so you’ll need to bear with me. My father has at least stopped asking me how I take a bath. And he knows the answer about selling dogs and going home. But my goal is to one day take Darrel to New Brunswick so he can at least meet my parents. They’ve never met their son-in-law. It’s just never been feasible. Hmmm, maybe this isn’t the best picture to make my point. Taken at 53 below. 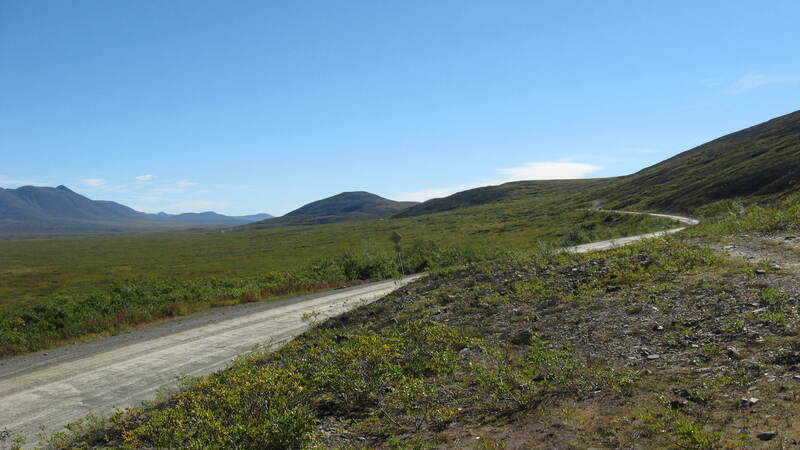 A view from the Denali Highway….and by highway I mean a dirt road through the wilderness. 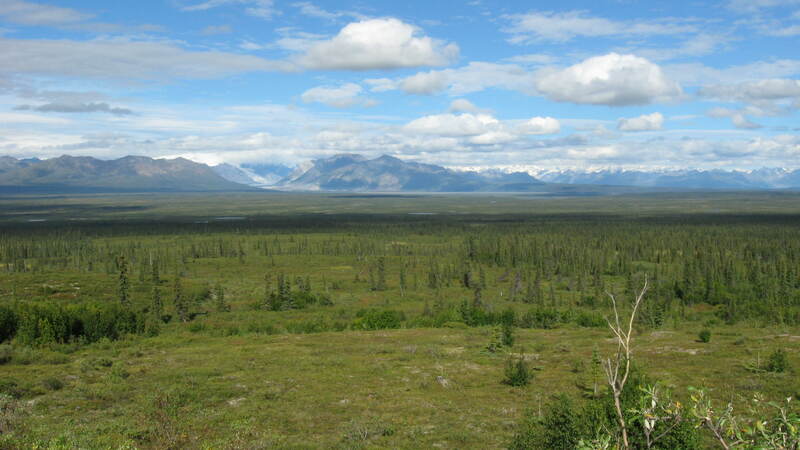 Ok, so this is the Denali Highway. See what I mean about dirt road? The word “highway” has a very broad definition here in Alaska. Most people buy dog food by the bag. We buy it by the ton. 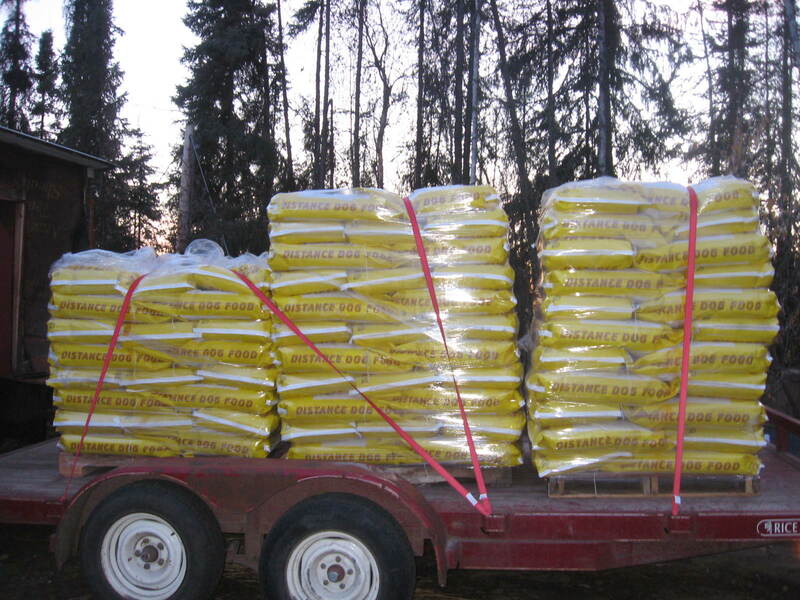 Here’s 3 tons – it almost lasted the winter. 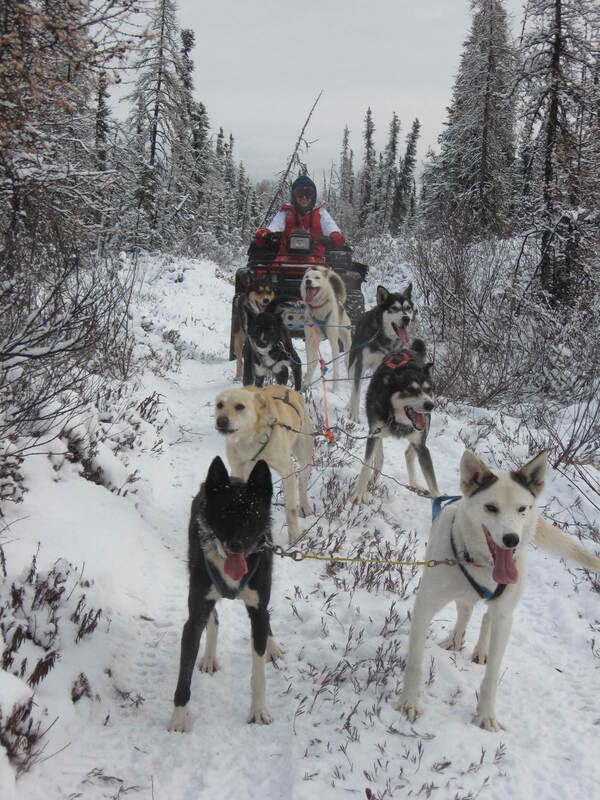 Fall training on the Yukon Quest trail. Overnight camping trip with the dogs and my friend Ellen. 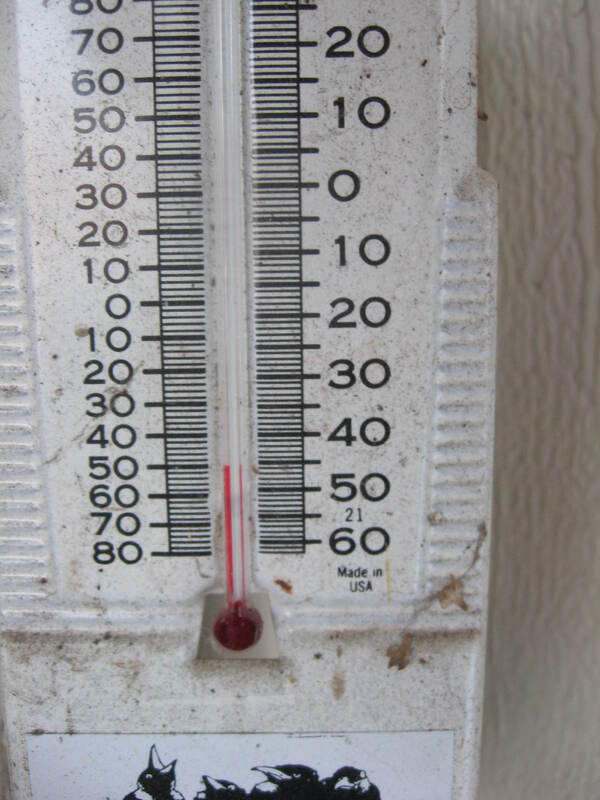 It warmed up to 50 below! This is one of my favorites. 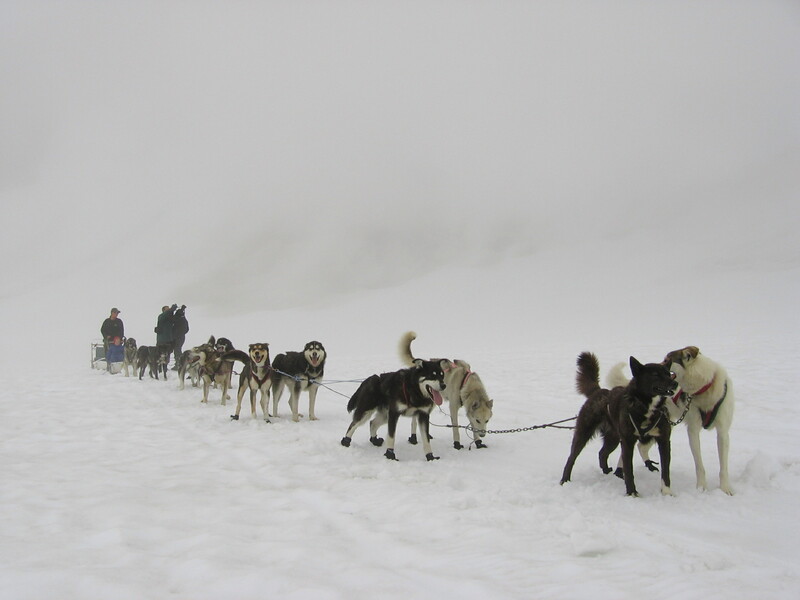 Taken on Godwin Glacier near Seward, Alaska. 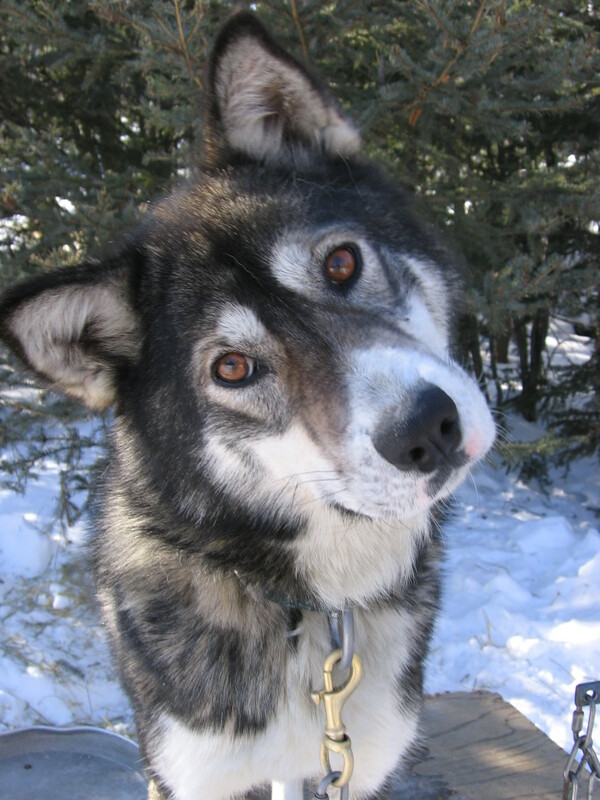 The video below is of Cody (big gray Malamute), Jewel (little red dog) and her pup now named Pester. Cody is gone now and so is Jewel. Both lived to a ripe old age. Pester is still with us and has sired a few pups. 2 Responses to My Parents Think I’m Crazy – and they are not alone! We are sooooooo not related! Oh yes we are and I am going to scan some pictures to prove it. This is funny. When mom first brought you home from the hospital I wanted her to take you back. Now I think you’re my best sister – the fact that you are my only one means nothing at all! Love ya.